I have made 1000’s of these. Thousands! 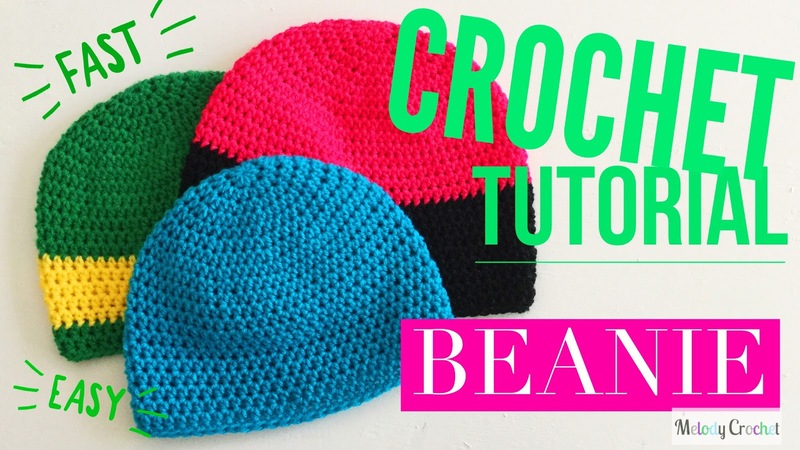 This is a fast and easy pattern that you can literally dress up in any way! You can make this into a character, you can make this frilly, add a button or an applique. Or just wear it plain and keep warm! It’s so versatile. The pattern has a Small, Medium and Large Adult size included. I also made you a Video Tutorial! I hope you enjoy the company while you crochet like I do! This is the base for so many of my character hats. If you are using it for a plain hat use something soft and plush…if you are making a character hat I highly suggest Red Heart Super Saver! It is just so much better when you sew things on it and attach anything with glue. Last Row) Ch 1 and SC at the base of Ch 1 and across, SS into the first stitch of the row and FO. Weave in ends. Great video tutorial! I love the fact that you're using shaping rows. Could you maybe edit your pattern to indicate those rows are shaping rows as you indicate in the video? Also, please note the link to the beanie goes to the Vortex Cowl – with a picture of the beanie but the pattern of the cowl – which I would REALLY love to see too! Row 9 should be 5 HDC, IncHDC and Row 11 should be 6 HDC, IncHDC.